If you are new to cooking and you want to make sweets for your friends and family then I would suggest this is a perfect recipe with guaranteed taste moreover requires less time to cook. 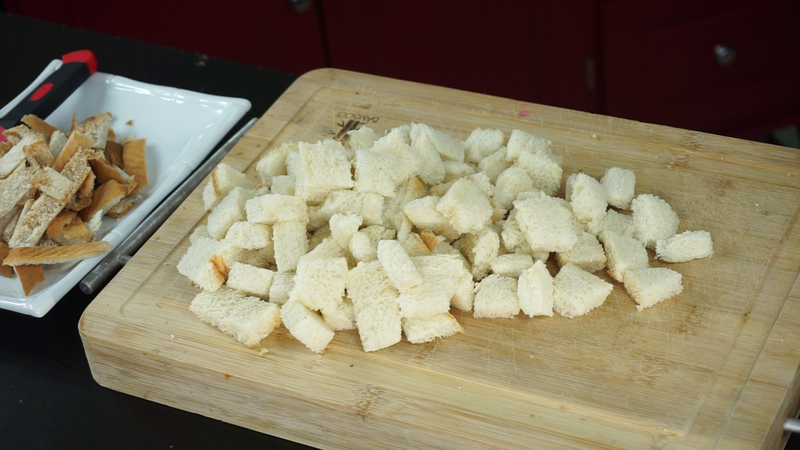 Step 1) Trim the edges of the bread (this is optional) and after trimming the edges cut the bread slices into small pieces. If we cut the slices into small pieces then all the sides will be nicely roasted in the ghee. Step 2) Before roasting the bread pieces I am going to roast some cashew nuts (to reduce the usage of more pans). 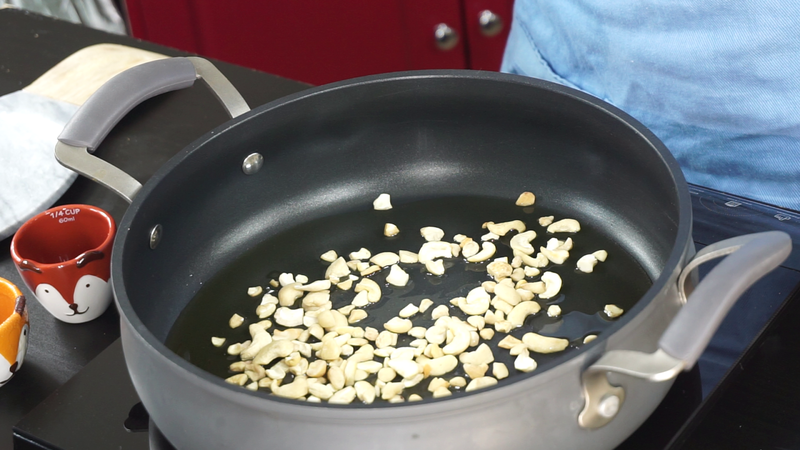 Melt ghee and roast the cashews for 2 minutes until they are nice and golden, once the cashews are golden take it off from the pan and keep it aside.Take some of the roasted cashews and powder them in a blender. Step 3) Then in the same ghee add the bread pieces and roast it golden in low to medium heat, be very careful while roasting ,do not burn them. The pieces should get a nice golden color. Step 4) Now you can see the bread pieces are nice and golden now to this add milk and mix it once with the bread slices.Let it cook for few minutes and then we can mash them. Step 5) Once they are soft, mash the bread pieces nicely and then add the powder cashew nuts and also add sugar ( you ca n increase or decrease the amount of sugar based on your sweet preference) .Mix well and let it cook for sometimes on a low - medium heat . Once it starts to leave the sides of the pan it is at the right stage, now add the roasted cashews and mix well with the halwa and turn off the heat. Our Delicious Bread halwa is ready to be served. You can serve them when is is hot or Chilled.You can also add Cardamom powder at the end to enhance the flavor of the bread halwa. Do not reduce the amount of ghee used, if you reduce the amount of ghee then the halwa will turn out sticky. Keep the flame in a low -medium heat while making halwa otherwise the halwa may get burnt easily at the bottom. Kindly advise on the measurement that you use for 1 cup?.Your recipes are fabulous...Thank you for sharing. I used 240 ml cup Uma. Happy Cooking !! !